Nearly every business, regardless of size, type, or industry, relies on technology to do business. In fact, an AT&T poll found that a whopping 66% of small business would fail without wireless technology. The vast majority of businesses rely on their networks to create work products, communicate with clients and colleagues, store data, leverage social media platforms, and perform myriad other critical functions. Thus, an organization's network infrastructure design is essential to its efficiency, growth, and success. 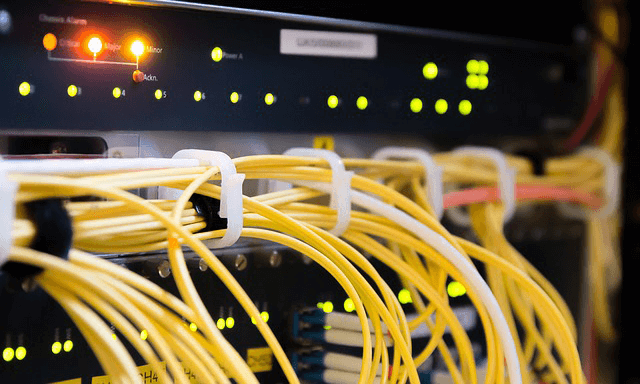 To ensure you get the most from your network, ICS will design your organization's technology infrastructure for the utmost in speed, reliability, flexibility, and scalability. We handle both new network infrastructure design as well as previously mishandled designs and migrations. We find that many of our clients have poorly designed networks that need to be reconfigured so that they function properly. In other cases, network infrastructure designs are abandoned midway through the process. This can happen for a variety of reasons. Sometimes these networks are incomplete due to a lack of follow-through by another outsourced IT company. Other times, in-house IT staff may begin the network infrastructure design process, only to become "stuck" and unable to continue. Our IT team are equipped with the skills and expertise needed to address of these situations, regardless of their complexity. SonicWall and other firewall products: These devices offer robust content control and network security, fending off even the most sophisticated ransomware, encrypted malware, mobile threats and email-borne attacks. Microsoft servers: The latest version of Security Awareness Training offers unprecedented flexibility, significant security upgrades, next-gen virtualization capabilities, and myriad options for a higher level of customization than ever before. VMWare: Using virtualization technology like Hyper-V, we can increase recovery times and network agility. Virtualization also brings greater elasticity to the network, while lowering overall power consumption. Apple/Mac networks: Relatively few IT organizations can provide support for these networks. We're experts in Apple/Mac computer support, and we can even enable Apple/Mac computers, servers, and networks to work with Windows computers, servers, and networks. Network infrastructure design can take from ten to 200 hours, depending on their size and requirements. We make every effort to minimize downtime and reduce or even avoid disrupting your company's operations by working after normal business hours, as well as on weekends and holidays. Contact ICS today to learn more about our network infrastructure design services!